All the poets Iran is famous for – Khayyam, Hafez, Rumi – lived hundreds of years ago... and were dudes. But modernist poetry in Iran is alive and well, and its most important female poet, Forough Farrokhzad, is a contemporary Iranian iconoclast on par with former prime minister Mohammad Mossadegh. 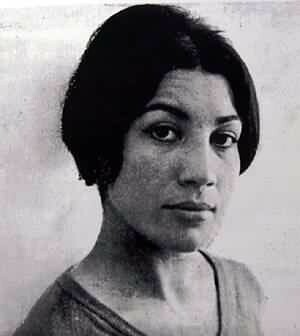 Although lack of adequate translations made her little known outside of Iran, Farrokhzad became famous for her work in her home country before her untimely death in 1967. Born in Tehran in 1935, Farrokhzad studied dressmaking and painting in school before marrying her cousin Parviz Shapour when she was 16. By the time she was 21, she had given birth to her son Kamyar, separated from Shapour, had a nervous breakdown and released her first collection of poetry, Asir (The Captive). 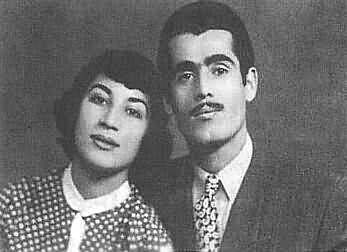 Shapour's family won custody of Kamyar, and Farrokhzad moved back to her hometown, Tehran, to write poetry. 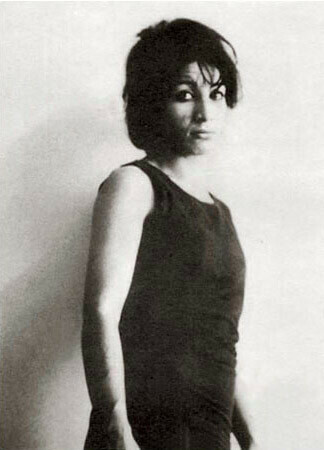 Farrokhzad's decision to pursue an independent artistic career in favor of devoting herself to conventional family life earned her much public disapproval. Despite the social reconstruction that went along with the modernization of Iran in the 1940s, it was still taboo to criticize the options available to women, as Farrokhzad did in poems like "The Wedding Band", "Call To Arms" and "To My Sister." – from "To My Sister"
Farrokhzad's long-term relationship with Ebrahim Golestan, a writer and cinematographer whom she met during a nine-month-long trip to Europe in 1956, also made her a subject of controversy. Her unconventional personal life, combined with the often subtle but undeniably sensual imagery in many of her poems, made her work banned in Iran for over ten years after the Islamic Revolution. in that dim and quiet place of seclusion. Iranian modernist poetry was, like most artistic institutions, dominated by men, and Farrokhzad stood out alongside contemporaries Ahmad Shamlou and Nima Youshij. The raw emotion of her earlier works eventually gave way to a more controlled, mature style, and with the release of her fourth book, Tavallodi Digar (Another Birth), she was accepted as a fully developed and culturally significant poet. In the hollows of my inky fingers…"
Farrokhzad also directed a short film, "The House Is Black," a stylistic documentary shot at a leper colony in Tabriz and released in 1962. Although only 22 minutes long, "The House Is Black" became a crucial precursor to the enormously influential New Wave of Iranian cinema. During production of the film, Farrokhzad became attached to Hossein Mansouri, one of the children at the colony, and adopted him soon afterwards. 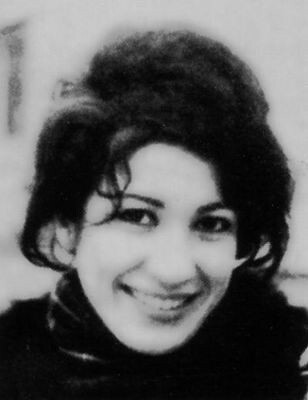 In February 1967, as her fifth book was being printed, Farrokhzad died in a car accident in Darrus. She was 32 years old, and she had produced volumes of work that spoke to a generation and helped to redefine what life as a modern Iranian woman could mean. 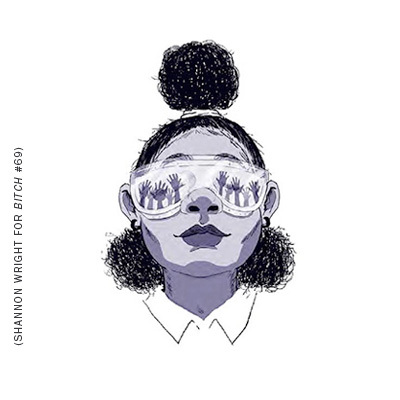 The eponymous poem of her last collection, "Let Us Believe in the Beginning of the Cold Season," is considered one of the best-structured pieces in modern Iranian poetry. and the incapacity of these concrete hands." – from "Let Us Believe in the Beginning of the Cold Season"
I am an American of non Iranian descent but I lived in Iran and developed a deep love for their culture in the 1970's. I have made it my avocation to educate the world about Iranian culture. Not only has little of Forough Farrokhzad been translated but not many of the over 456 contemporary Iranian poets and writers of all genders either. Two summers ago in July of 2008 I returned to Iran for the first time since the revolution of 1979 and one of my goals was to visit the cemetery where Forough Farrokhzad is burried along with Rahi Moa'yeri, Bahar, Iraj Mirza and musicians like Darvish Khan. It is an amazing place where some of their best and brightest of the 20th century are burried and it is owned privately by a family not by the state. There is also a monastary there still in use for meditation founded by Sufi Dervishes, many of whom were great philanthropists and are burried there and again of both genders. There’s a memoir that’s funny as hell, a deep dive into an iconic comic book character, and even a fantasy.